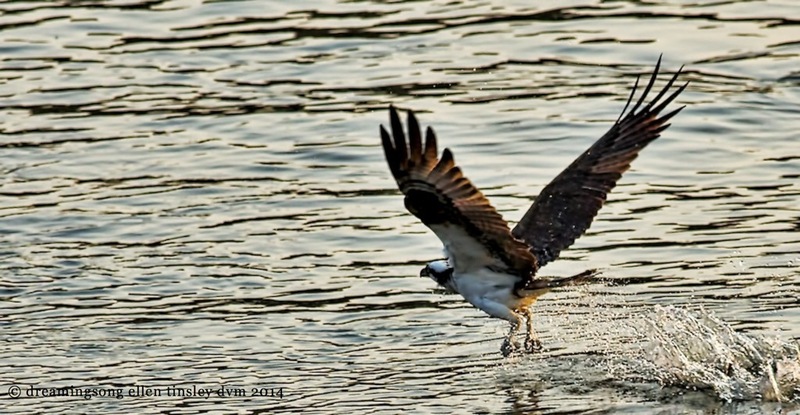 This osprey had just left the water when the rising sun touched him with living gold. In the very early morning light, 06:10 AM, this bald eagle quickly appeared from down the river and over my head almost before I could react and snap this photograph. Ospreys certainly make quite a splash while fishing – the sound the osprey makes as it hurtles into the water is distinct. Even with my back turned I know when an osprey has struck the lake. The osprey has come to a hover while deciding whether or not to dive into the river for a fish. 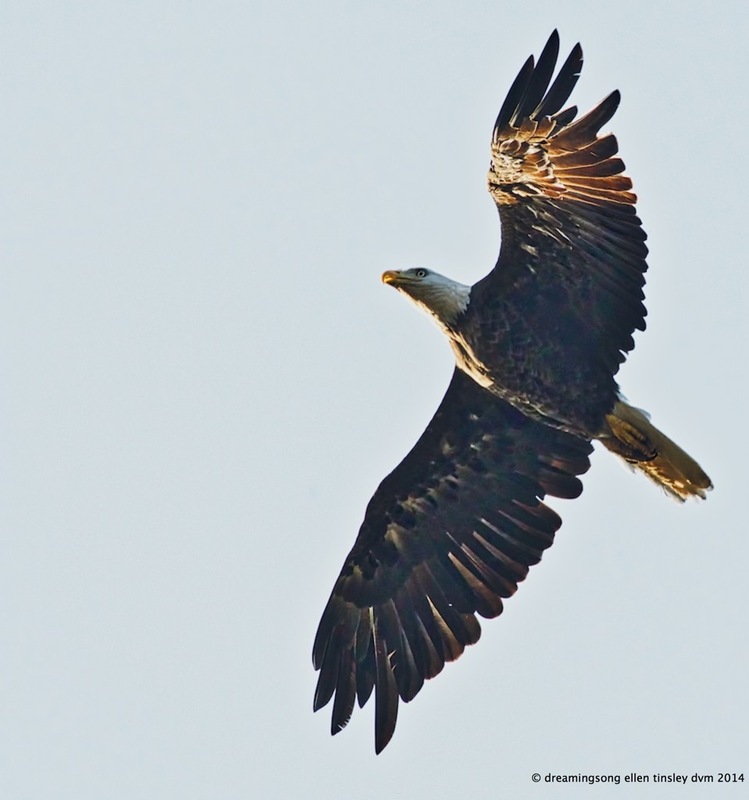 Always takes my breath away to see a bird this large have the strength and agility to stall in its flight – and then tip over into a swift dive or level out and continue the hunt. In response to a question being asked about the first osprey photo: it took the male osprey 7 seconds from striking the water to clearing the water with the large bass. 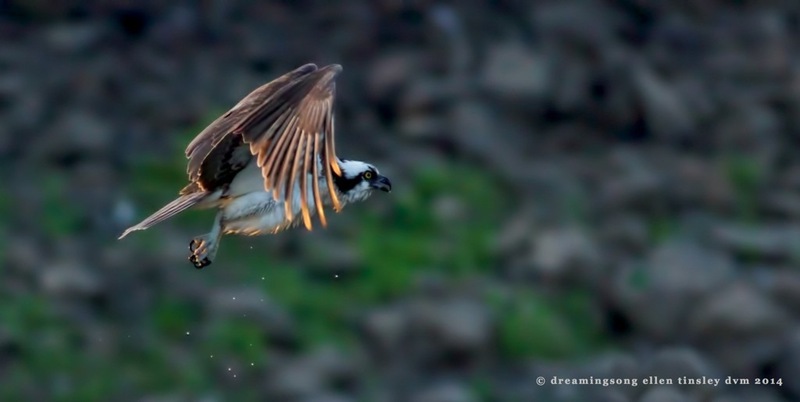 Here is part of the struggle between as yet unseen fish and hungry osprey.